In 2016 Blaise Smith completed a major commission for the OPW and Waterford City and County Council. 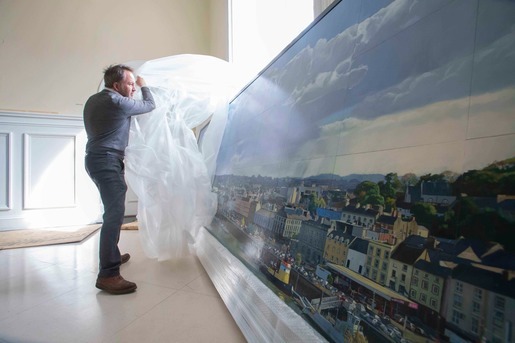 Waterford 2016 is a panoramic landscape painting of the city. It is 5 metres (16 feet) wide and made up of 52 separate panels. The painting took over 6 months to complete. It was launched in October 2016 and is on permanent display in the Vestibule of Waterford County Hall next to the Theatre Royal.